Love is like the ocean: Waves of emotion engulf the senses, overwhelming us – begging us to succumb to a greater force. The warmth; the heat; the drive; it’s so easy to fall prey to that spell, and once we’re under, there’s no place we’d rather be. NoMBe’s new song “Do Whatchu Want to Me” captures the intoxicating rapture of love, evoking the heat of the moment in a summery array of sun-kissed passion. can I rub my face, against your skin? can I make your breath, my wind? Flash forward to 2017, and NoMBe has returned in high style. Since January, he has been releasing one track each month “until he runs out of love songs,” all of which will culminate in the release of a forthcoming debut album entitled They Might’ve Even Loved Me (anticipated 2017/2018 via Th3rd Brain Records). Released last week on the summer solstice (June 21), “Do Whatchu Want to Me” is NoMBe’s sixth release in the cycle, and it’s already catching waves from the likes of The Independent, Clash Magazine and more. It’s sexual; it’s persistent; it’s hypnotizing; it’s indulgent; and it’s amazingly catchy. can I taste your lips? Are we so basic that the metaphor of summer and love’s heat and warmth instantly wins us over? Yes; yes we are. 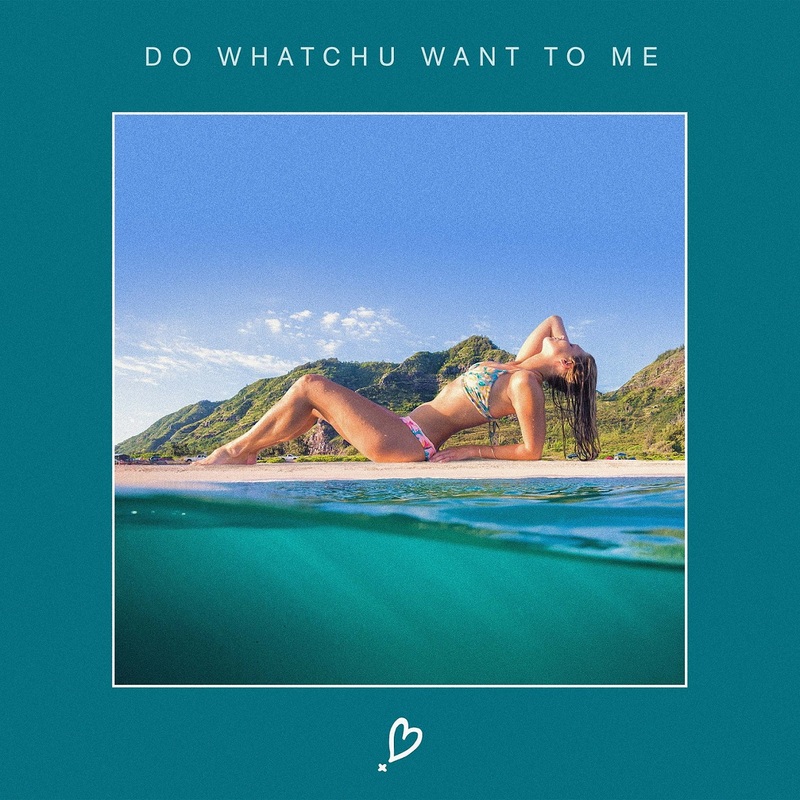 From its vibing synth pulse to those watery, reverb laden guitar riffs that tap deep into NoMBe’s “signature sound,” “Do Whatchu Want to Me” invites us to bask in bliss. NoMBe’s lyricism is as poetic as ever, capturing an incredibly tantalizing image of desire as he requests permission to enter into lust. “I wrote ‘Do Whatchu Want To Me’ as an open love letter from a surfer to a wave,” NoMBe recently shared. “As if writing from one lover to another. I tried to capture the love and dedication real surfers have for the ocean, the rush and the art form as a whole.” It takes a skilled author to write such a compelling narrative, but NoMBe’s ability to capture the moment remains unmatched. His Nicole Alexander-directed surfer girl music video takes “Do Whatchu Want to Me” to the next level with its depiction of what can only be described as a perfect beach day. “If you’ve ever been fortunate enough to try surfing, you know that there is no such thing as controlling the wave. You do your best at reading the water and if you’re lucky, you get to ride it as far as it’ll take you when the time is right,” writes NoMBe. Love truly is like the ocean, and nowhere is that better exemplified than in “Do Whatchu Want to Me,” a stirring summer love song that demands our full attention.